Doesn’t the total lack of accountability in the world today drive you nuts? Do the words WTF come to mind? Same with us-which is why we wrote our book, Culture Without Accountability-WTF? What’s The Fix? It’s all around us these days. Look no further than your daily paper, CNN, Time, or wherever you get your information, and you’ll see countless examples. Washington, which is supposed to exemplify leadership for all of us peons, is the best example-nobody is accountable for anything! Everybody wants to point the finger at everyone else, and the result is nothing ever gets done. But who are the fools here? We are, because we keep re-electing all the same people! The world of sport is another great example. The most spectacular one recently-and there have been many-is Alex Rodriguez, who, fresh from denying ever having taken PED’s, cops a plea bargain and admits the whole thing. And don’t even talk to us about Lance Armstrong. We got so fed up with all of this that we decided to take a leap into the unknown and write a book. Here’s the amazing thing. We’re married, and we have our own consulting business, so we work together, live together, travel together. As people never tire of pointing out to us, that’s pretty incredible in itself, so why would we pour gasoline on the fire and write a book together? Well, we got through it. Just. Without killing each other (tempted though we both were!). And we think we came up with something that’s pretty good, although we say it ourselves. We think it’s good because it offers a process which will help people build accountability into their lives, whether they’re in business, non-profits, churches-in fact, any situation where you have people living and working together. It’s even applicable in families, and we promise you, if you apply our process to bringing up your kids, they won’t grow up to be like A-Rod or Lance. It’s a simple, four-step process, and it’s all defined in our straightforward quick read book. We talk a lot about feedback, a key element of the communication process. When you’re dealing with people, nothing ever changes unless you give, receive and pay attention to feedback. Sounds straightforward, but here’s the issue; the typical human animal doesn’t like giving feedback, and likes receiving it a lot less. Our book offers a process which takes the sting out of feedback by teaching you to be objective, and focus on the facts. We think it helps. We hope to make a difference in the world with our book-go ahead and read it. It will change the way you look at things. In 2001, Julie and Brian co-founded Miller Bedford Executive Solutions, an international consulting firm. They consult with companies to address organizational issues, with specific emphasis on strategy, culture and leadership. 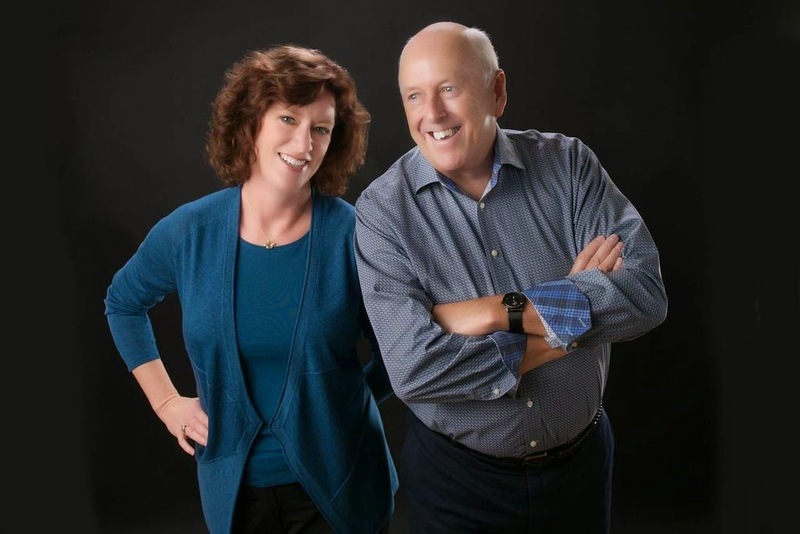 In addition to the United States and Canada, Julie and Brian have worked extensively in China, Malaysia, Singapore, Taiwan, all major European countries, South Africa, and Israel. Prior to forming their own company, they both worked in Human Resources at Motorola. He served as Senior Vice President of Human Resources for the Semiconductor Products Sector, an $8 billion business with 50,000 employees. She served as Director of Human Resources for the Networking and Computing Systems Group, a $2 billion business within the sector. Brian, born and raised in Dumfries, Scotland, moved to the United States in 1994. Julie is a native Texan, originally from Fort Worth. They currently reside in Austin, Texas. Julie and Brian are coauthors of Culture Without Accountability—WTF? What’s The Fix? A book full of real life stories of what accountability looks like, and what can go wrong in its absence. When businesses, families, or individuals decline to be accountable for their actions and decisions, the results can be devastating. Businesses can fail, relationships falter, and reputations shatter. This book offers a proven process for installing an accountability-based culture, a platform for success in business and in everyday life. About Culture Without Accountability—WTF? What’s The Fix? by Julie Miller and Brian Bedford: When businesses, families, or individuals decline to be accountable for their actions and decisions, the results can be devastating. Businesses can fail, relationships falter, and reputations shatter. Culture Without Accountability-WTF? What’s The Fix? Is full of real life stories of what accountability looks like, and what can go wrong in its absence. 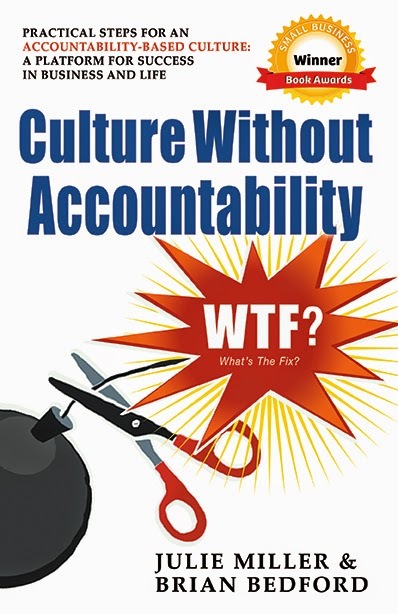 This very readable book provides useful information for anyone, or any business, looking to create a culture of accountability. Get the latest posts sent directly to your inbox ... and the occasional email when there's something really awesome to share!